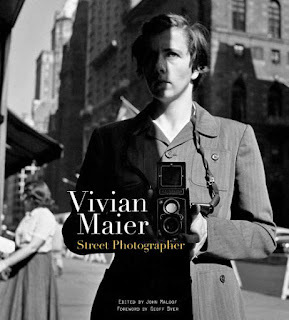 A notice on Art Daily that the University of Chicago has received a gift of vintage Vivian Maier prints reminded me of the documentary film: Finding Vivian Maier.....one of the most interesting films I've ever seen!! It traces the life story of the late Vivian Maier, a career nanny whose previously unknown cashe of 100,000 photographs has earned her a posthumous reputation as one of America's most accomplished and insightful street photographers. The skill of the film maker, combined with the photographs will be worth your time to watch. The story of how the photos came to light in itself is fascinating....the documentary link above has a ton of information online but I do encourage you to seek out the film. We got it on Netflix in DVD format. How interesting! I just looked VIVIAN MAIER up and it's streaming on Netflix. I just added to my list! Thanks!! !